Pregnant women and children are particularly vulnerable to malaria. N’Djamena, Chad—When the village of Dokaidilti in southern Chad nominated Pascal Djimandoh Mbaitoubaro to be a malaria prevention worker, the 58-year-old proudly accepted. He was honored and eager to help his neighbors. Mbaitoubaro knows too well the devastating effect the disease can have on a family—both his parents died of malaria. As the village community health worker, Mbaitoubaro’s role will be to educate neighbors on the origins of the mosquito-borne disease and its symptoms, promote the use of insecticide-treated bed nets in homes—and not for fishing—and link families with the local health center so they can be tested for malaria and receive treatment if needed. Malaria is the leading cause of illness and death in Chad, where an estimated 650,000 malaria cases occur annually. Life expectancy in Chad is less than 50 years and 173 children out of 1,000 die before their fifth birthday. Chad ranks at the bottom of the United Nations Human Development Index—a comparative measure based on life expectancy, literacy and standard of living—and yet, this landlocked Central African country receives minimal development support, almost half of the amount Ghana receives per capita. 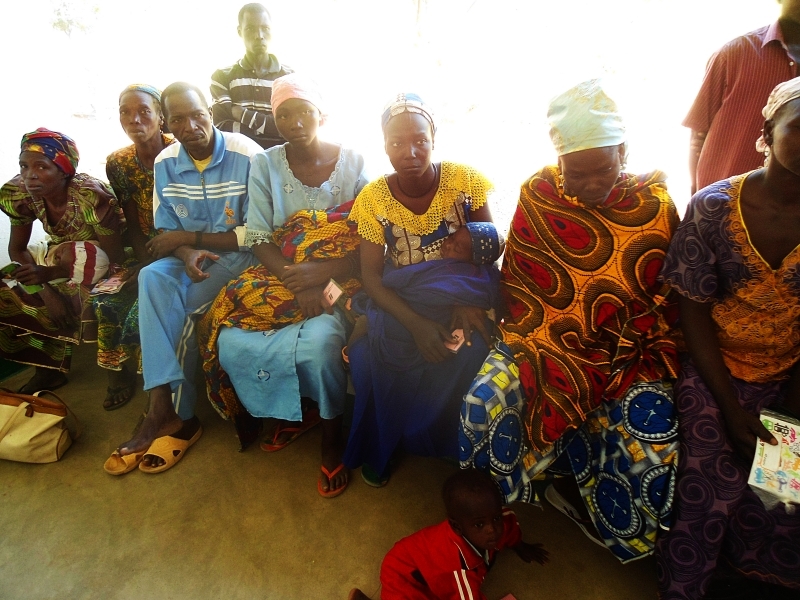 But, efforts are now under way to bring malaria prevention and care to often-forgotten Chadians. The government of Chad has partnered with ExxonMobil, Jhpiego, Ronald McDonald House Charities® (RMHC®), health care providers and community members such as Mbaitoubaro to strengthen services and reduce malaria-related deaths. On World Malaria Day, April 25, in collaboration with ExxonMobil and the Ministry of Health, Jhpiego will support activities of the National Malaria Control Program and also hold community events in Doba with newly trained community health volunteers in partnership with RMHC. Since 2011, with support from ExxonMobil, Jhpiego has worked to improve the quality of malaria prevention and treatment at 39 health centers and hospitals—75 percent of health facilities in the four districts in Chad where Jhpiego works. To strengthen Chad’s health systems, Jhpiego helped develop national-level guidelines, protocols and training documents. Jhpiego has also trained 60 providers on malaria prevention, diagnosis and treatment. It has also trained 17 district-level supervisors and completed 90 supervision and coaching visits throughout the four districts. Through the support of RMHC, community health worker Pascal Mbaitoubaro (right) will connect his Chadian neighbors to malaria prevention and treatment services. This support has contributed to an increase of more than 7,000 diagnostic tests used to confirm malaria cases and increased the percentage of confirmed malaria patients who receive effective antimalarial medicines from 64 percent to 77 percent. Jhpiego also helped increase the percentage of pregnant women who received their first dose of World Health Organization-recommended intermittent preventive treatment of malaria from 37 percent to 77 percent. In 2014, Jhpiego received additional support from the RMHC to bring their important malaria program to the communities. Jhpiego has worked with communities to select 100 community health workers, like Mbaitoubaro, who will be trained to provide key malaria messages in the community and improve linkages between residents and the health centers. To promote sustainability, Jhpiego will also train regional champions who will be able to train new community health workers. Mbaitoubaro recognizes that this work isn’t easy. At the local health center where he volunteers, he says many parents believe that malaria is caused by supernatural effects and go to traditional doctors, “Docteurs Tchoukou,” rather than get tested and treated at the health center. 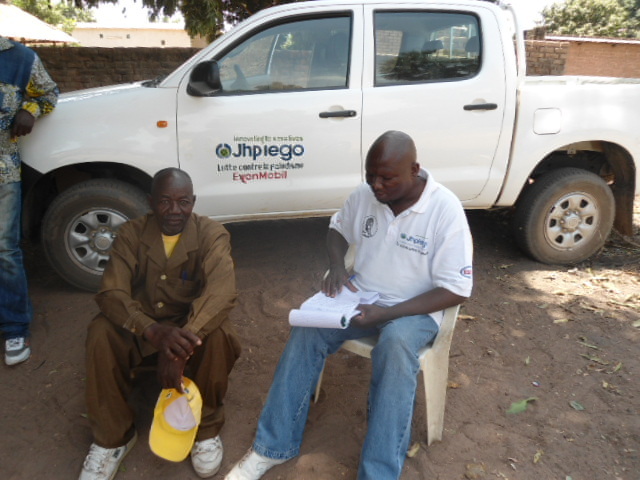 Mbaitoubaro has already learned key messages from Jhpiego during an initial meeting, and is looking forward to receiving further training in April so he has all the right tools to help parents make the right lifesaving decisions for their children. As part of its innovative work in malaria prevention, care and treatment, Jhpiego is currently supporting program efforts in 14 other countries, including Angola, Burkina Faso, Cameroon, Ghana, Guinea, Kenya, Malawi, Mozambique, Myanmar, Nigeria, Rwanda, Tanzania and Uganda.